The Orbee-Tuff® Raspberry is the smallest member of the best-selling Orbee-Tuff® Produce Line. This juicy little morsel is perfect for the smallest dogs. The Treat-Spot is perfect for stuffing with Planet Dog Eats, offering small dogs bushels of fun! 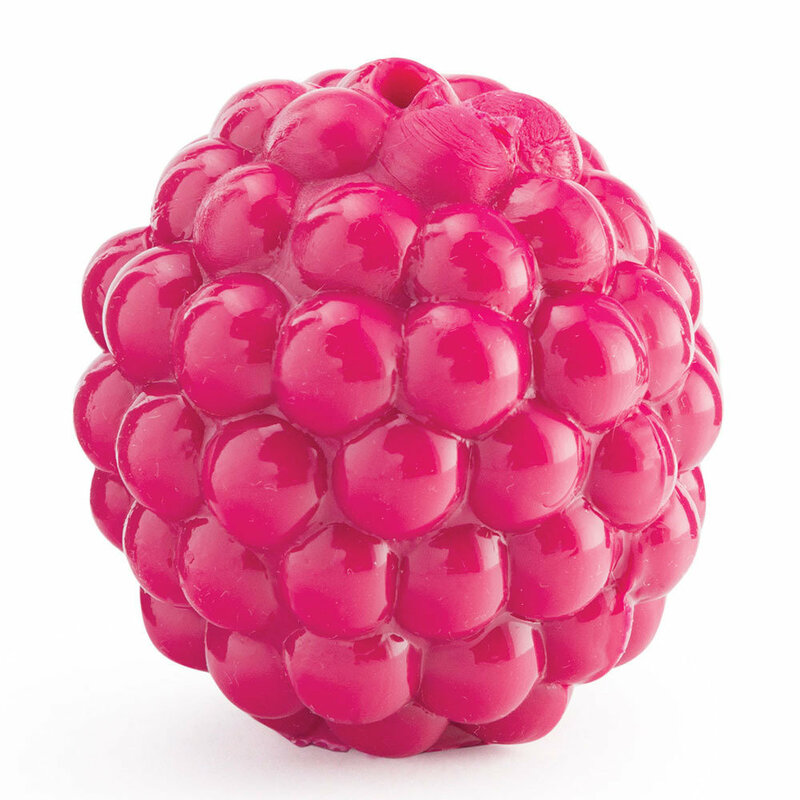 Get your Vitamin Wag with the Orbee-Tuff® Raspberry, available in bright raspberry pink. Perfect for the smallest dogs at 1.75" high. Rated 4 out of 5 chompers on the Durability Scale, the Raspberry is a delicious part of a well-balanced play routine. Play safe- For extra small dogs only! 100% GUARANTEED. Any time. Every time. Made in the USA.